Tenth and Locust Apartment Complex - PWArchitects, Inc. The Brookside Downtown The Tenth and Locust Apartment Complex is a 32,000 sq. 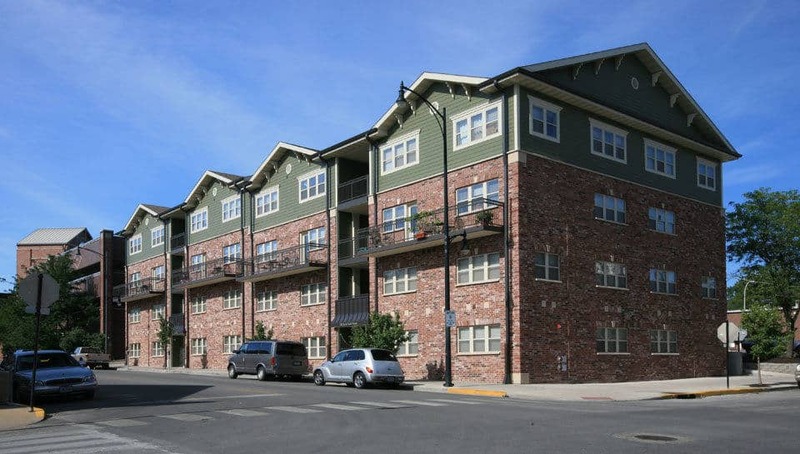 ft., 32 unit, four-story development with two story residential loft apartments with four bedrooms and four baths.